Public art provides an opportunity for Cities to highlight the artwork of local professional and emerging artist and encourage creativity that connects a community in a meaningful way. In 2014, the City of Fargo, through the Mayor’s Social Service and Arts Fund, allocated funds towards the development of public art received through proposals. The intent of the fund allocation was to provide a new platform for artists and a unique visual art experience for the citizens of Fargo. Locals Jeff Knight and Brittany Sickler proposed the idea for functional bicycle racks, which was one of five proposals the City of Fargo received. Knight and Sickler were brought in to further cultivate their proposal and oversee the projects development. Issuing a Call for Entries- Creative Bicycle Rack Design in 2015, Knight and Sickler encouraged submissions to combine functional elements with beauty and inspire curiosity with bikers and non-bikers. The Call for Entry generated the bike rack design, while input from the local community help to refine it. 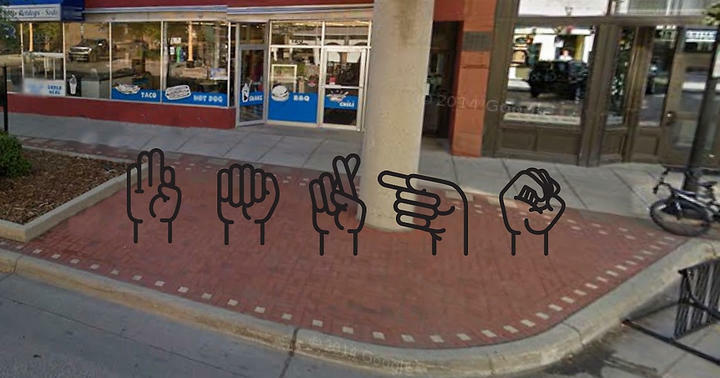 Local welder, Bette Homme, was enlisted to fabricate the bike racks, which spell F-A-R-G-O in American Sign Language. Installed on the corner of Broadway and 2nd Ave in July of 2018.